As Head of College, it is my responsibility to ensure that Pearson College is a respectful community and that all members of our community – students, staff, faculty and residents – understand and abide by all related policies, notably our Respectful Community Policy, Non-Discrimination and Accommodation Policy, Gender Diversity Policy and Sexual Misconduct – Sexual Violence Policy. In order to assist and advise the College in implementing these policies, I am pleased to announce the appointment of Patricia (Pat) Patton as Special Advisor – Respectful Community for Pearson College. Engaged on a part-time basis for the next year, Pat will work closely with me to ensure that our policies and practices are robust and aligned with leading practices as we implement our Taking Our Responsibilities Seriously theme outlined in my ongoing communications with the Pearson community both on and off campus. While my primary focus will remain on the students, staff, faculty and residents who comprise our current on-campus community, Pat will support the College in Respectful Community matters, particularly related to misconduct issues of a historic nature – i.e. involving past students and/or employees. She will also provide advice and support to me in relation to the new UWC Safeguarding Taskforce as well as advice on the further development and implementation of training and policies supporting a Respectful Community. Many of you already know Pat who was engaged last year as an independent consultant to work with the College to update existing and draft new policies related to a safe and secure community, Pat was also engaged to develop and deliver training for all adults on campus. Pat brings more than 30 years experience in leadership of successful business and non-profit organizations as well as volunteer initiatives. Most recently, she acted as national lead executive on strategy and implementation of robust engagement and consultation with Indigenous peoples in Canada’s plan for the long-term management of used nuclear fuel. Pat has also been executive director of a large non-profit family services and counseling organization; she led a multi-disciplinary, multi-agency group in design of an innovative model of community cooperation and coordination of mental health services, which became a model used for community coordination of mental health services in B.C and was the national leader of a dynamic team of professionals in sales and marketing for a Canadian hotel company including overseeing the company’s marketing partnership expansion into the United States. 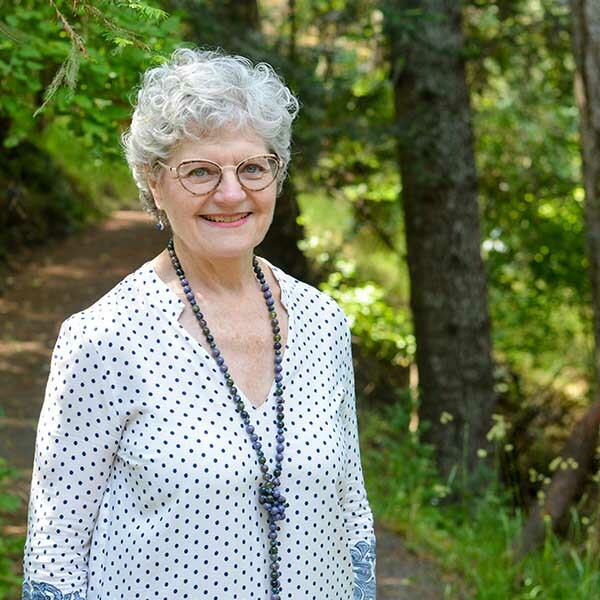 Pat holds a Bachelor of Recreation Education degree with a focus on therapeutic processes, as well a number of certificates, and has completed coursework in disciplines ranging from public administration to advanced management practices to the sciences. Pat is a past-president and director of the BC Council of the Family and helped lead a grassroots community initiative in Nanaimo to imagine the area’s future through a community-driven process of dialogue including citizens, experts and City leadership and was the founding President and Director of the Port Theatre in Nanaimo. In the part-time role of Special Advisor – Respectful Community, Pat will be both on-campus and working remotely. She can be reached by email. Please join us in welcoming back Pat!